Wide dynamic range and frequency response for accurate sound reproduction. High sensitivity and excellent directional pattern allow effective pick-up. Self-contained electronics eliminate need of external power modules. Assisted hanger benefits accurate miking. 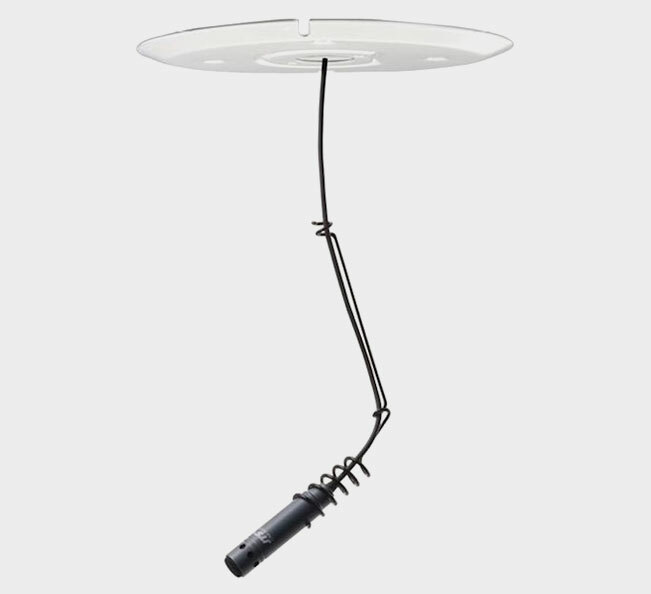 Mount plate allows microphone to be fixed on the ceiling or wall. Durable material allows permanent installation.